Addis Ababa, Ethiopia: when adopted midwife Mariam embarks on a project to protect an abandoned premature baby, she is forced to face her own abandonment years before. Alice Allan’s debut novel is an original, vivid and moving story about attachment and loss. Alice Allan grew up in rural Devon. She worked as an actress and a corporate trainer in London and Tokyo, then as a lactation consultant in public hospitals in Addis Ababa, where she taught about breastfeeding, skin-to-skin and kangaroo care for premature babies. A very real and heartwarming story which captures the realities of life. Feel transported to this strange world within a world – that of a neonatal unit in an African hospital. The book is as beautiful and intriguing as the title. Beautiful history, make me feel in Africa. A beautiful story and a fabulous read for first time mums highlighting the importance of skin-to-skin! A wonderful novel, with believable characters and a very emotional story – made me cry! For me, the most interesting and impressive was the author’s ability to find and consistently follow the voices of her different characters. It brought the beautiful story the feel of authenticity. Beautifully written. Deserves an even bigger audience. A passionate and evocative read. Highly recommended. Powerful story. This was one of our book club’s picks this year. Such a brilliant and memorable story – a real gem. I love this book! I would recommend it to anyone. I recommend this book its very interesting. A heartwarming and poignant story, beautifully written. It transports you to the wonderful, dignified and tragic setting that is Addis Ababa. I loved this book and it has stayed with me since I read it straight after publication. The characters have remained ‘lodged in my mind’ (as Robert Macfarlane says). A poignant and powerful story. I loved this book. An evocative tale of human connection in a pulsing Ethiopia. An authentic and true novel from an author who exudes the same. A wonderful read…. A little evocative masterpiece of Ethiopia on many levels… touching, tender and triumphant ! I enjoyed every single page of it! A gorgeous and important book – beautifully written with honesty, delicacy and a storyteller’s ear, it’s moving, powerfully evocative and memorable, passages keep coming back to me months now after I read it. Thank you! Very touching novel, explains the importance of skin to skin. My favourite book of 2017. Moving, clever, atmospheric. And beautifully written. My truly lasting memory of this book is the madman character. His stream of consciousness seems so authentic. A real image of where I live. Nicely done. The love and affection shown in this story reminds you of childhood, in all of its wonders. So touching. I could not put it down – and then read it through again!! A wonderful novel based on facts. Written with compassion by someone who cRes. Truly worth reading. Beautifully written with sensitivity and care for the characters and subject matter. I thoroughly enjoyed reading this wonderful debut novel. Well done. A beautiful story, so evocative of Addis. Alice gets you inside the mind of a young volunteer seeking closure, a mad homeless man and even a neonate. spellbinding. An important and beautiful book … wonderful read …especially for mothers. Great book, would totally recommend it. You will see and experience feelings like you never had with this book. A beautiful and lyrical story – the characters and setting come alive off the page and stay with you. Amazing, captivating in all senses, couldn’t put it down! You will feel attached to Ethiopia and the book characters long after you finish reading. Highly recommend! Opened my eyes to a fascinating world. Highly recommended. Beautiful story. Took me right back to Addis! As Africa is becoming increasingly important for Europe, it is about time to spread more of these touching stories into Europe and the world. This book recalled the magic that resides in Addis Ababa and can be found in so many of the amazing people there. Their lives are complicated, but beautiful. The book captured both. Excellent and enjoyable book, dealing with significant topics and themes. This is a brilliant read from a great author. A great book that deserves a wider readership. I was so touched by this book. Perceptive writing and a story that drew me in and stayed with me long afterwards. Excellent book with deep and life related descriptions. I highly recommend to it. Beautiful read..couldn’t put it down once I started. As a mother myself and having worked in the health sector, and having seen orphanages where babies are left alone due to lack of staff or simply not seeing the need, it should be common sense that human touch and hugs are so important for a child’s well being and growth. A very moving book in a very realistic setting..loved reading every page. Beautiful read, very uplifting and wonderfully reminiscent of East Africa. Can highly recommend. Beautiful book , loved reading every single page. A beautyfull book! Captivating story, touching characters. Set in a wonderfull portray of Addis, Ethiopia: the sounds and smells, streets and hills, cruelty and compassion. What a talent, what a humanitarian! An uplifting and beautifully written book. A really thoughtful novel which was very moving. I beautiful story which really moved me. This is a lovely book, beautifully written and a joy to read. One of the main characters is an abandoned baby, another a rough-sleeping young man with high ideals that slip into delusions, and both are described and given voice with great empathy. A bold and lyrical book. Whilst reading this book I was able to feel the smells of Ethiopian home made food, the energy of this growing and bustling city, the lovely light of this crisp sunset and revisit places I left long ago. Alice’s sensitivity and humour, her ability to describe emotions and locations was very touching and I am looking forward to her next story to immerse myself in. The story is captivating! Recommend! A love story to Ethiopia. A beautiful and evocative tale about love and identity. It transports you to the streets of Addis Ababa so immersively you can smell the coffee roasting. I adored this story. Brilliant, i wish you to win! A talented author takes us through a wonderful journey in challenging Addis Ababa. Entwined love stories to remind you that we are all humans after all. A vivid tale which cannot be missed. A beautifully written novel, deeply evocative of Addis, written with obvious emotion and passion. Totally recommend! It’s a Very rare subject. The story brings the struggle life in Africa and the human nature’s relationships to the readers. Very well written. Fantastic book. I could picture the characters so clearly. I would say this is one of the books you won’t be able to put down. Such an original and touching story! Very nspiring and beautifully written! Highly recommend! A really good combination of story telling and factual background issues. I enjoyed reading the book and could not put it down until I knew the ending. A beautifully written book, really enjoyable read. This book works on many levels – an exotic tale of a foreign land, a moving human story and vital advocacy for urgent public health issues. Thoroughly recommended. A beautifully told and touching story. Highly recommended! Очень трогательная книга. Советую почитать!! 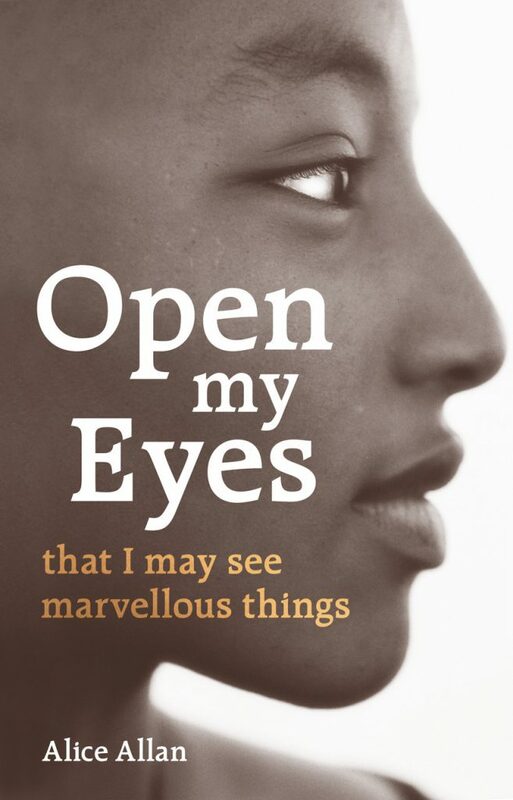 Beautifully written book about love and presenting an interesting insight into life in Ethiopia. A beautifully written story. Anyone who has handled a premature baby will understand the emotional connection to fragile existence. What an amazing story through the eyes of many. Many who cannot speak for themselves in the cultural context, because of age, because of class and because of gender. This story weaves it all in such a beautiful and poignant way. A touching story that is beautifully written. Very touching and thought provoking novel. Such an important and beautiful book!!! This was brilliant. Her first work?? Incredible. Such an unusual book. A beautiful and heartfelt story, and the essence of Addis was so well described I feel Like I have been there. A deeply sensitive and arresting book, beautifully written. Having spend time in Ethiopia myself I really enjoyed reading this book. Took me back to the streets and feel of Addis Ababa. And then it raises important topics too. A well-worth read! A beautiful story, heart warming and heart wrenching. Characters that will stay with you long after you’ve put the book down. A wonderful story! Deserves to win, it is an incredibly touching and emotional story. Such a beautiful story, I couldn’t pull myself away from it. Beautiful description, very well written. I loved this book, it was very inspiring and I felt connected to all the charachters. Wonderful story! I loved the charachters, and the way the author gave them a proper personality. Great book! Very inspiring! Beautifully written! I’m waiting for the new stories from this author! An humble and reliable testimony from a great lady. Emotionally evocative story, that creates the energy of Ethiopia. Interesting book that captures unique moments of motherhood and vulnerability of women and girls, specifically in the challenging context. Applies to each and one if us. Love how it ended nicely. Great job Alice! Looking forward for more novels. A wonderful evocative read which wakes up the senses. I can still smell the coffee! I have read this book three times now and found something fresh in it each time. Fantastic book. Transported me to another world. Can’t wait for her next book! A beautiful read..I loved the book and recommended it. Characters portrayed are faceted and believable. First book I have read this year without dragons in. All the better for it. Excellent. Having had family living and working in Addis, it was an especially interesting and absorbing read for me. Highly recommended! I am still recommending this to people, a good many months after I first read it. A beautiful novel which quietly squeezes you through an emotional mangle, then sits on the shelf demanding a second read. Beautiful touching story intertwine reality of Africa and her realistic characters. A deeply moving, evocative story. Beautifully written, I felt sad to reach the end of the book – wanted to keep reading! I would highly recommend this novel and look forward to Alice’s next book. For a brief moment I was transported to Ethiopia and presented with the heartbreaking reality that is unimaginable. Beautiful story of survival and love. Fascinating portrait of a people and country so often overlooked. A unique perspective and a compelling read! Deeply touching read. I felt I was there living every moment. Beautifully told and written with an incredible insight of the people and their culture. A moving story, beautifully written. An emotional and interesting story. I enjoyed style of writing , how author managed deeply touch and transported audience to Ethiopia. Reccomend ! Such an evocative and emotive book on so many levels. All my previous knowledge of Ethiopia having been based on the many news stories and one book “The Barefoot Emperor”, being the story of Emperor Theodore, the hero model for “A Person”, Alice’s narrative has given substance to my limited knowledge. It should be compulsory reading and a set school English book. Thank you Alice. This is much more than a novel; it is an important contribution to parenting knowledge and a better world. This, and the pleasure of reading it for its literary value alone, commend it unreservedly.